Todd A. McConaghy possesses extensive experience in both the public and private sectors. 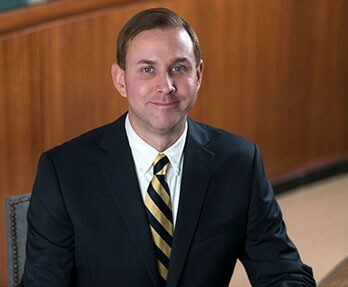 Most recently, Todd served as Senior Associate Counsel to the Michigan Attorney Grievance Commission where he investigated and prosecuted attorney misconduct on behalf of the Michigan Supreme Court. Todd's current practice involves the representation of healthcare providers and attorneys in professional responsibility matters. Additionally, Todd specializes in the defense/advocacy of grievance and State Bar related issues. He represents attorneys in a variety of matters including grievances at both the request for investigation and formal complaint levels. Todd also provides ethics opinions as well as represents applicants to the State Bar of Michigan at the Character & Fitness Committee level. Immediately prior to his position with the Michigan Attorney Grievance Commission, Todd served for 11 years as an Associate and later a Partner at Sullivan, Ward, Asher & Patton, P.C. where he was a member of the Litigation Department. His practice focused on the representation of business clients in general, premises, and products liability, as well as in toxic torts, automobile/trucking liability, constitutional law, manufactured/modular housing liability, consumer protection, workers' compensation, and criminal law matters. Early in his career, and prior to joining Sullivan, Ward, Asher & Patton, P.C., Todd worked as a Litigation Consultant with CIARA, Inc., a global technology provider.